The Financial Services Commission (FSC), South Korea’s financial regulator, will take another step forward in 'toughening up' over short selling next Monday, 27th March 2017, as a ban on “overheated” short selling becomes effective. Aimed towards “strengthening investor protection”, this is the second major update the FSC has made to escalate the short selling rules in Korea over the past year. Stocks with a sudden and abnormal increase of short selling over a trading day will be detected after the market closes, and be designated as “overheated short-selling stocks” by the KRX. Further short selling of these stocks on the following day will be prohibited. The list of “overheated” stocks will be updated daily, adding further burden to compliance teams required to monitor such positions. This latest regulatory update from the FSC follows on from the “enhanced short disclosure requirements” that went into effect from 30th June 2016. That change in regulation separated out the reporting requirements where a net short position exceeded 100 million or 1 billion KRW, for both private and public reporting. In addition to adhering to separate position value criteria, a disclosable position became reportable on every day it was held. 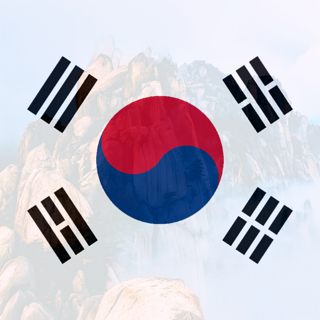 This greatly increased the workload for compliance teams with an obligation to disclose in Korea, and is a perfect reason to automate reporting. The FSC have also outlined plans to reduce the initial reporting deadlines of short positions from the current T+3 to T+2 days. However, the implementation date of this is yet to be confirmed. Here at FundApps, we track all changes made by the FSC, and automatically check regulatory lists when they are published. Any updates get pushed seamlessly to our users, reducing the risk of using old rules and making regulatory change simple to keep on top of. Our dedicated team of compliance experts interpret and code new regulation into rules, so our clients don’t have to. FundApps also automatically generates the forms required for reporting in Korea (both publicly and privately) as part of its Shareholding Disclosure service. To read more about how we make compliance simple, visit our Shareholding Disclosure page or Book a Demo to see what FundApps can do for you.